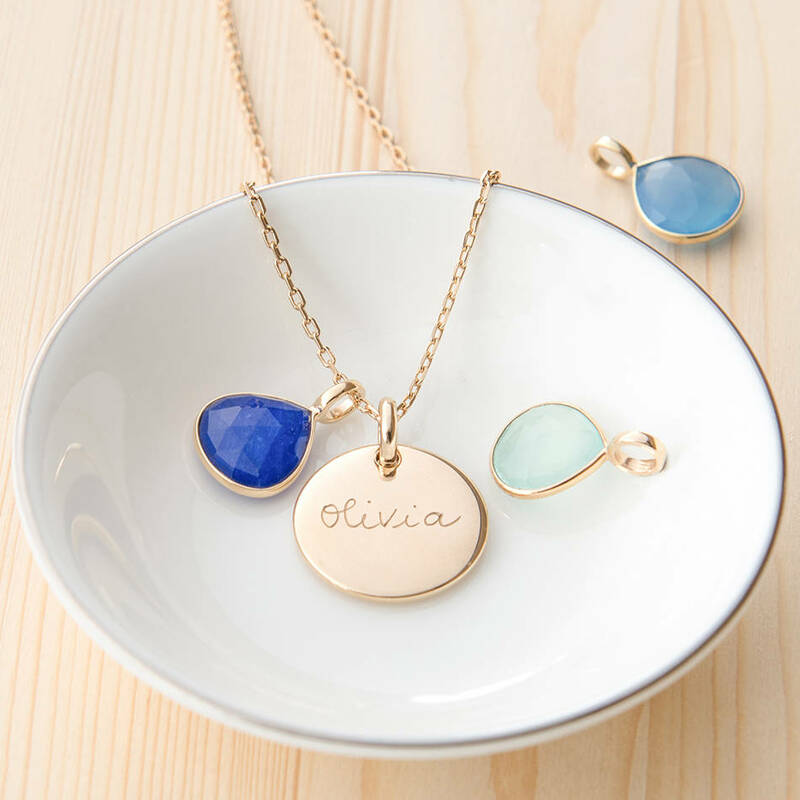 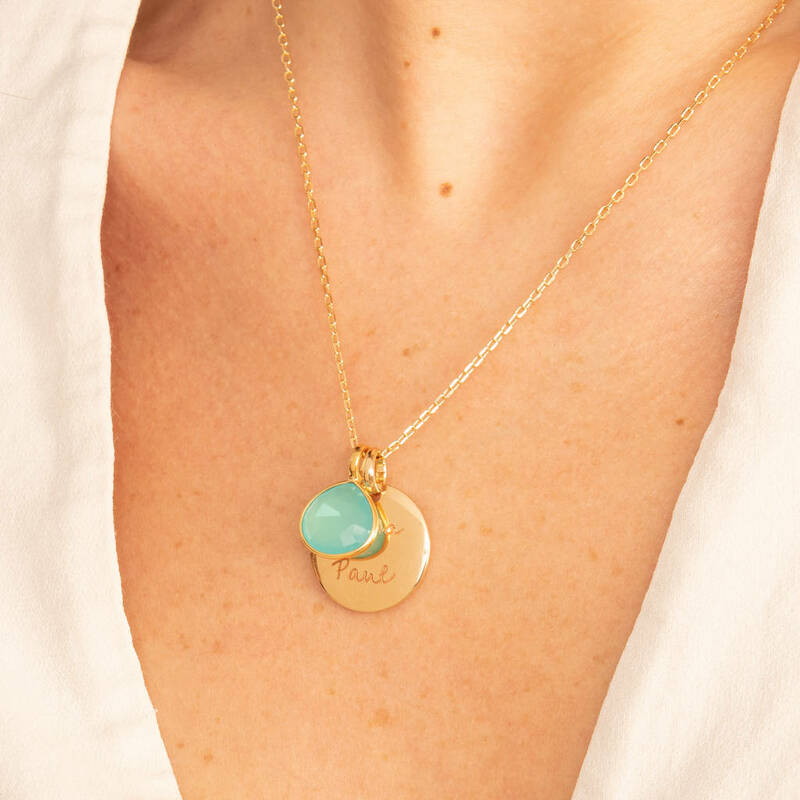 Compliment your style with our Personalised Gemstone Necklace, featuring your choice of semi-precious stone and a hand-engraved disc charm. 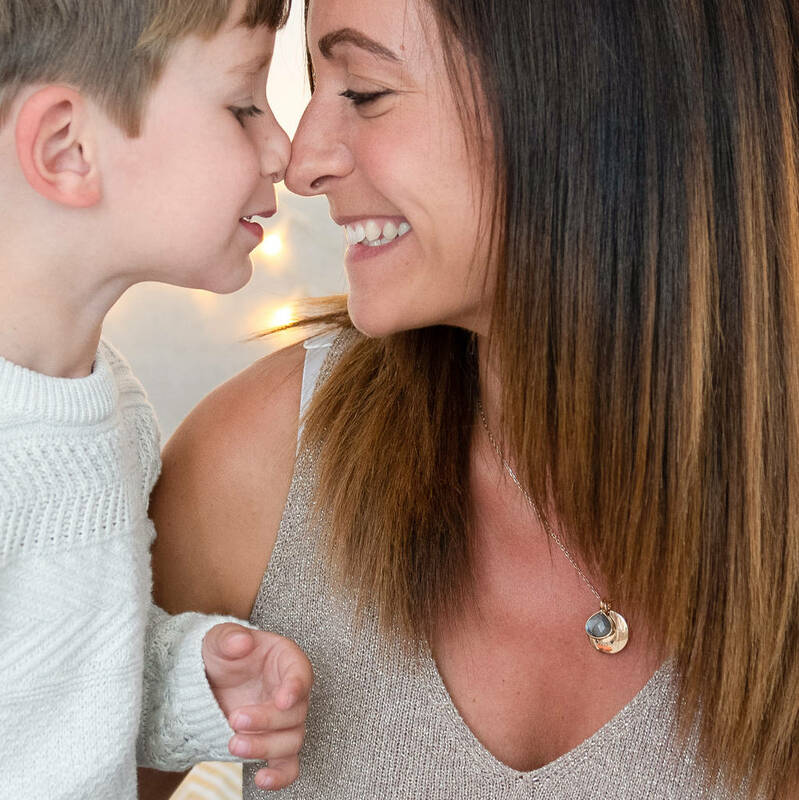 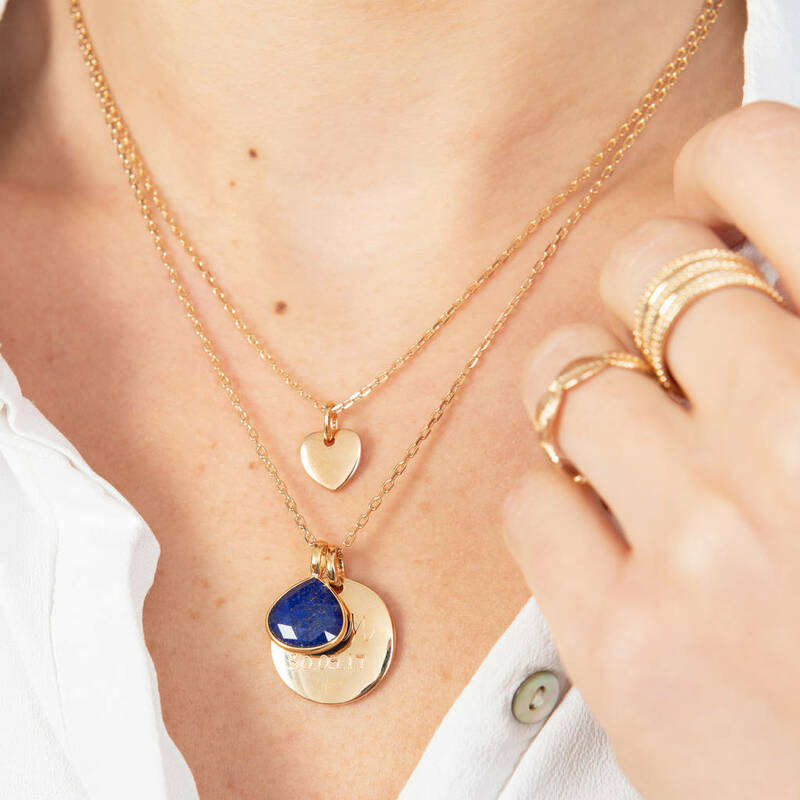 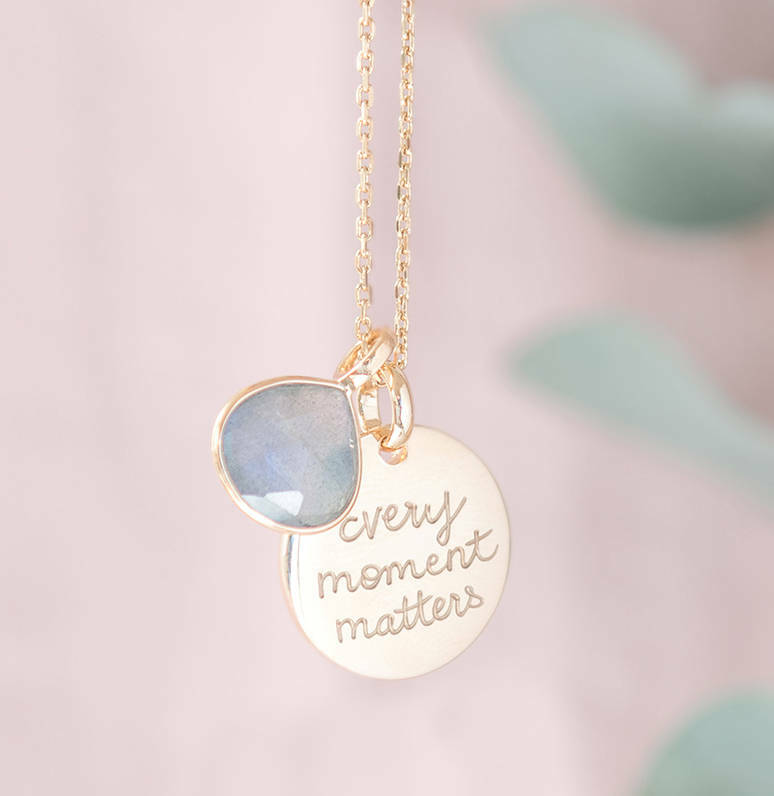 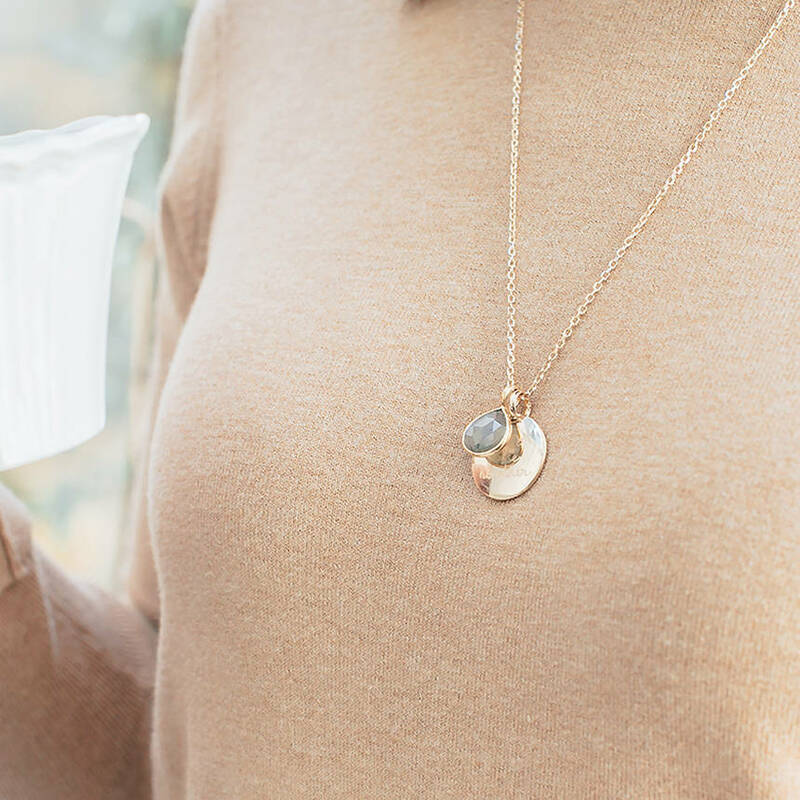 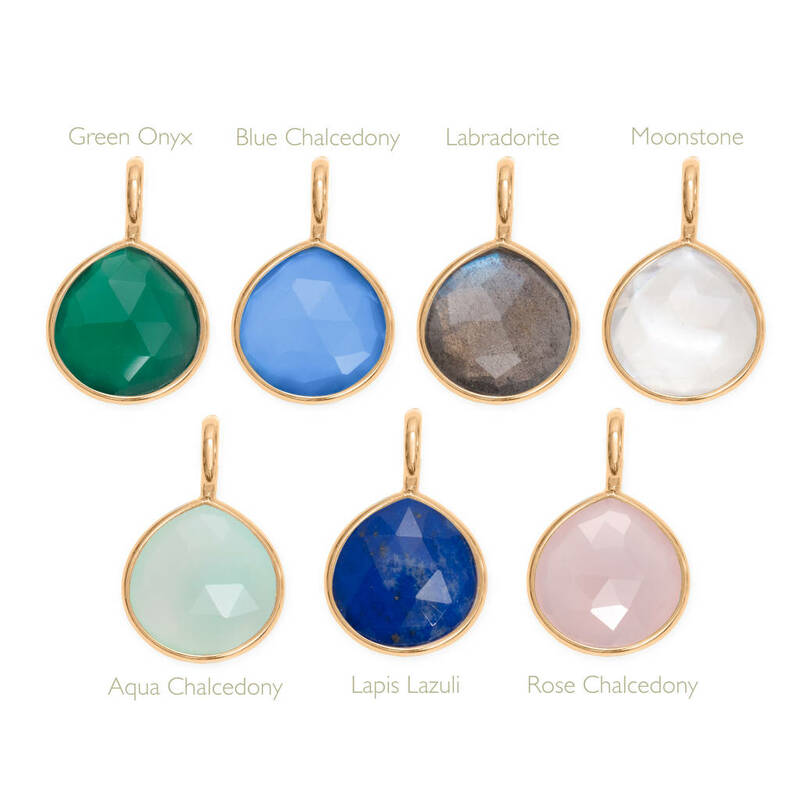 Choose from 7 gemstones to sit alongside a personalised 925 sterling silver or 18K gold plated disc charm to design your own unique necklace. 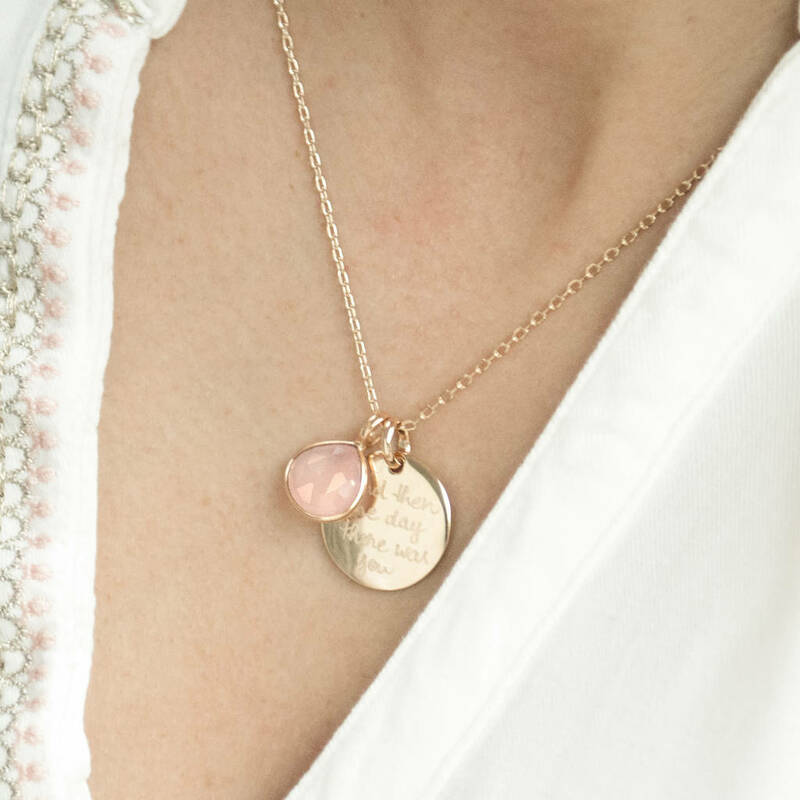 We can hand engrave up to 30 characters on each side of your charm meaning you can be creative with your wording. 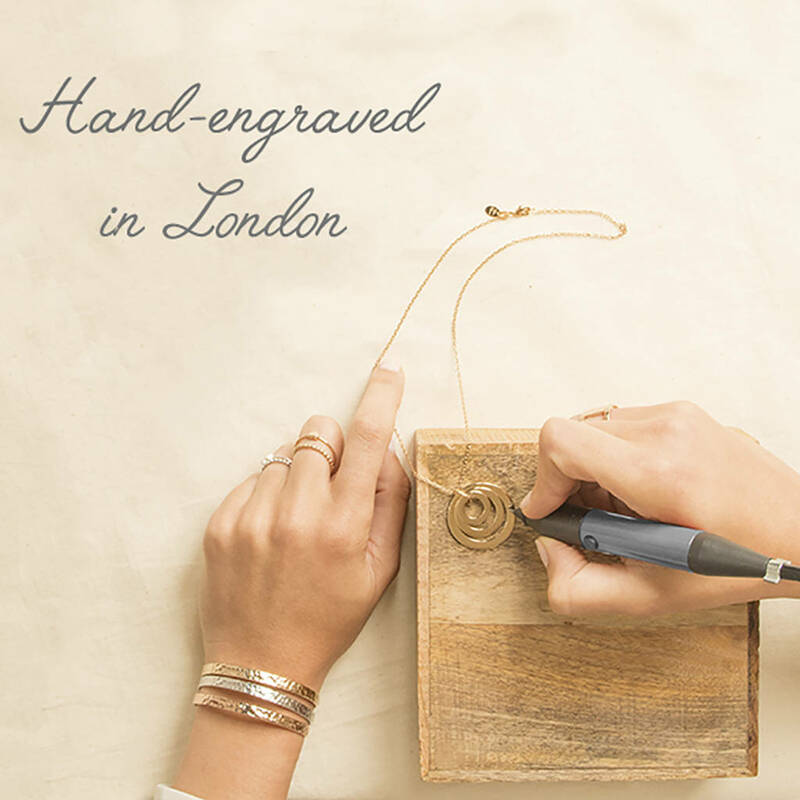 Treat yourself and personalise with your own initials or create the ideal birthday gift with an affectionate message for your loved one. 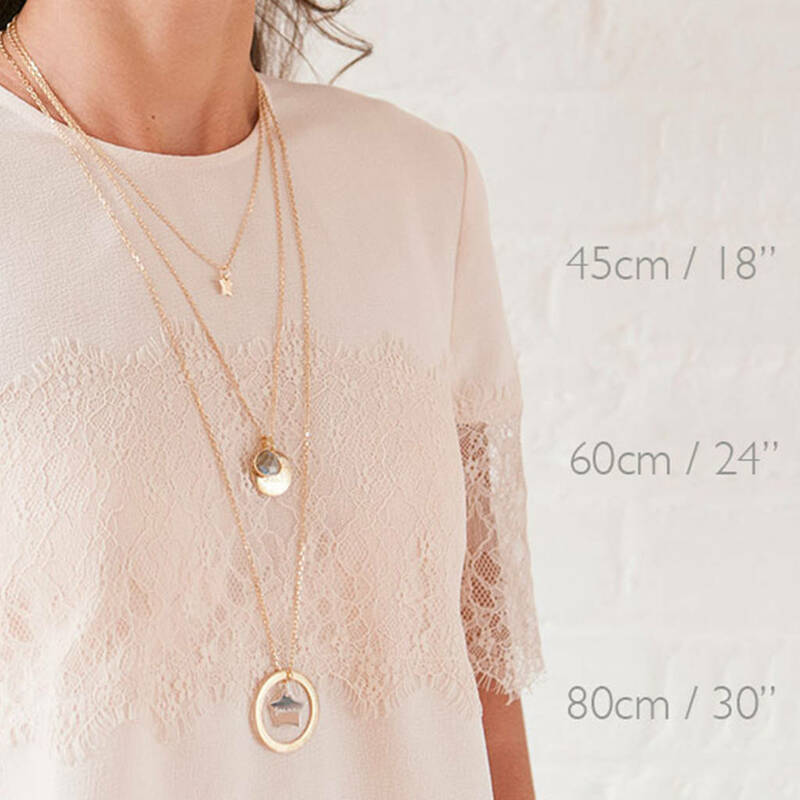 All Merci Maman charms can be removed from their chains and worn with other Merci Maman chain lengths.